Kohkum’s Babushka is a tale about two diverse families and their first encounter with one another. It shows the beauty of their differences and similarities, particularly the generosity and reciprocity valued by each family’s cultural tradition. 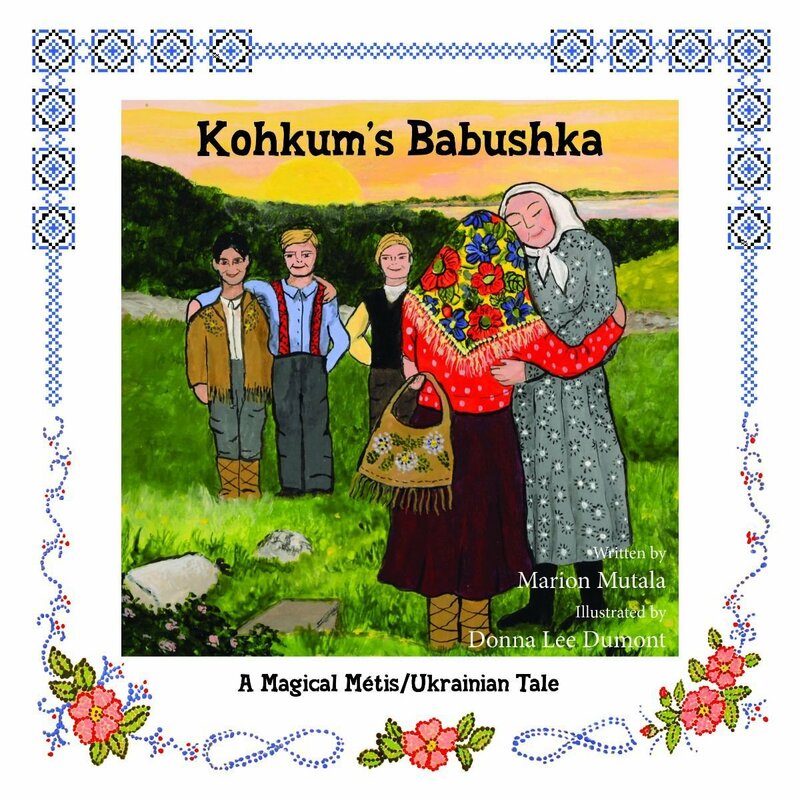 Through another magical Babushka, Marion Mutala takes readers into a vibrant Prairie world that weaves fact and fantasy to witness two families, one Métis and the other Ukrainian, meeting for the first time. Through this magical encounter, we see core values intrinsic to our common humanity: our curiosity and empathy, and our willingness to share with others, regardless of language or culture.